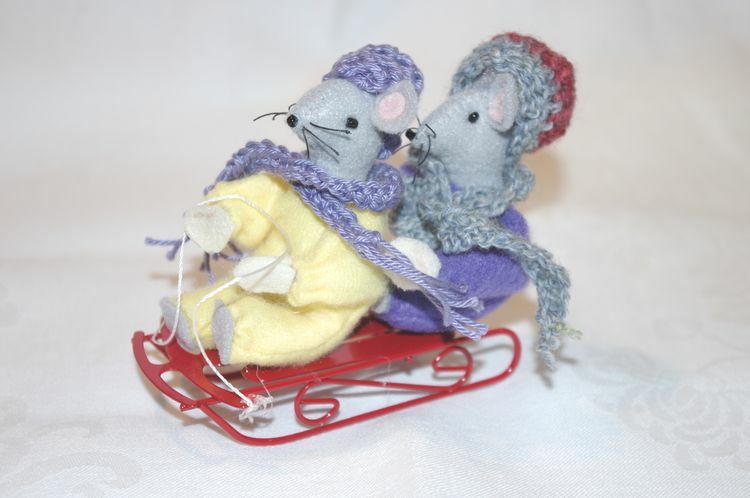 as they helped create the mouse crop this year! 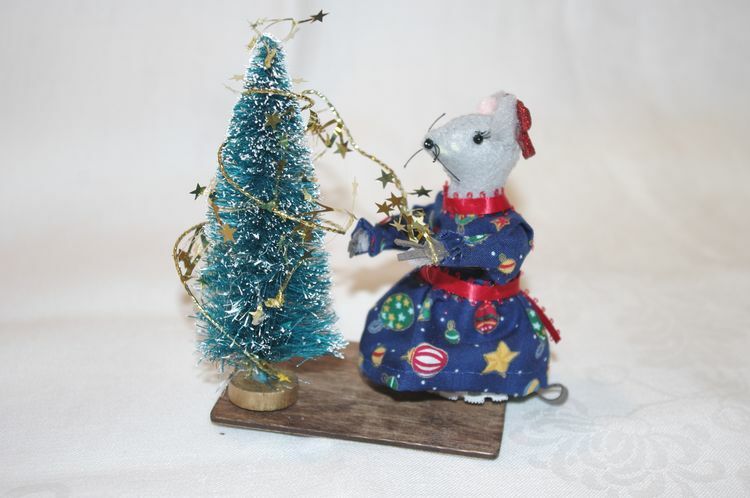 In the spirit of a Colonial Christmas, meet George and his friend. 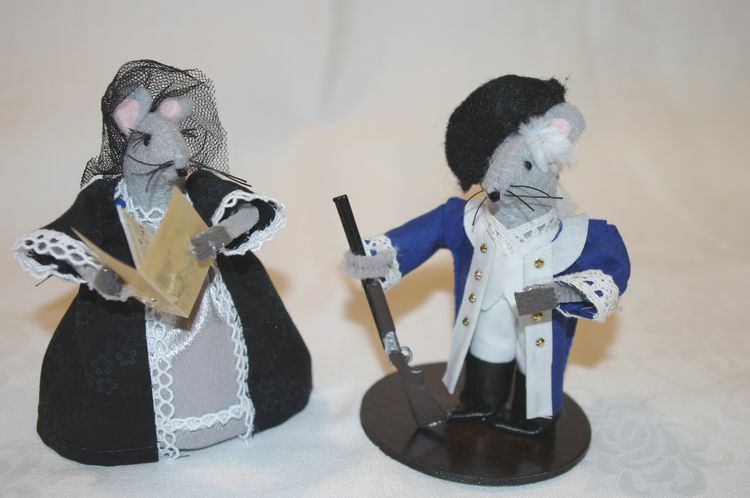 George Washington comes from the hands of Bonnie Brouder. 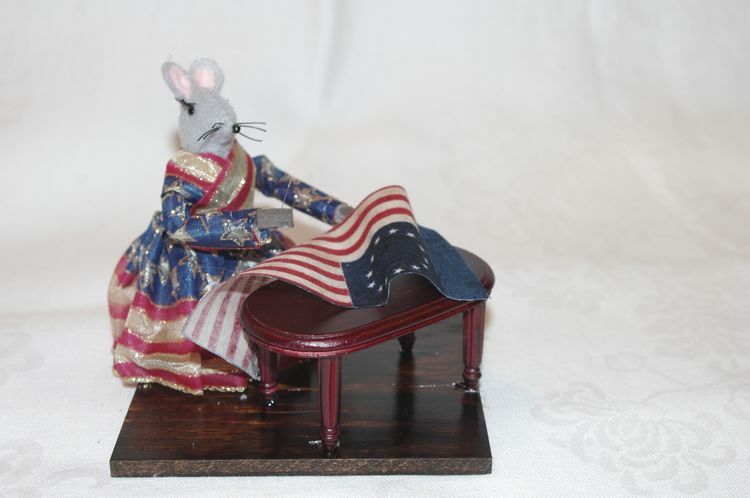 Betsy Ross is another fine work of Bonnie Brouder. 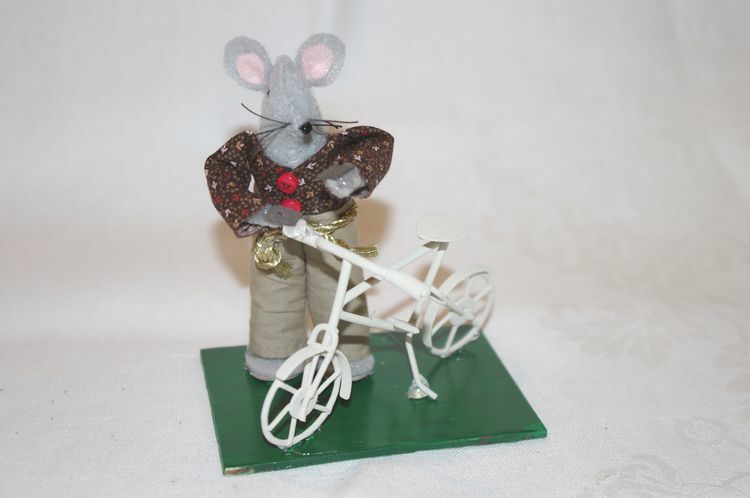 This fellow looks ready for a ride! 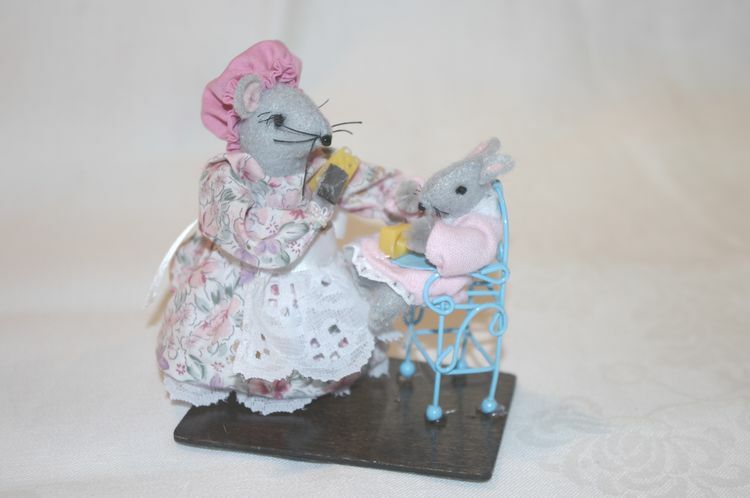 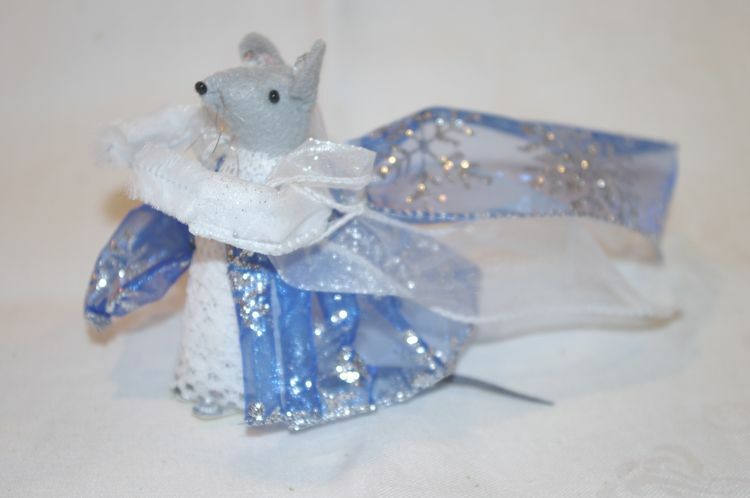 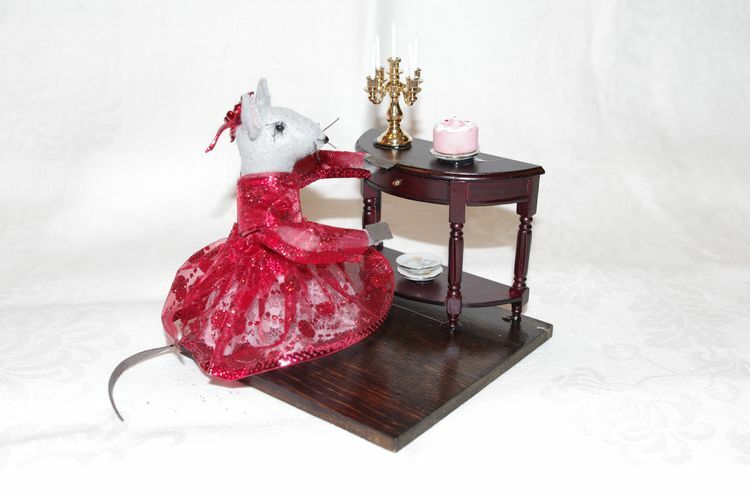 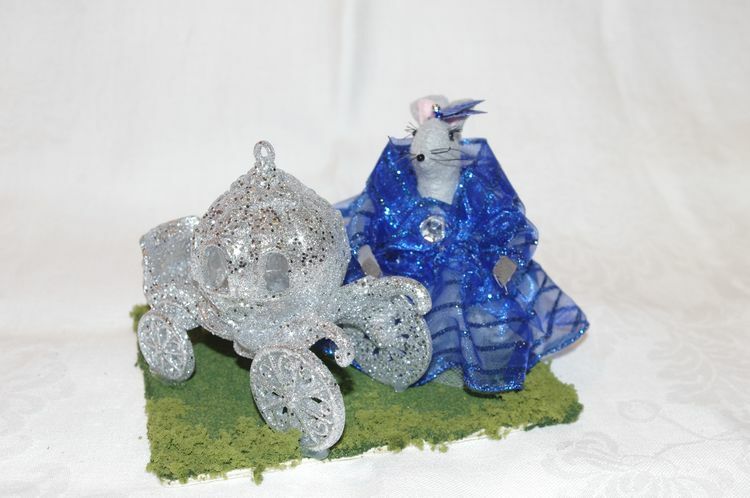 It looks like this mouse found her Fairy Godmother! 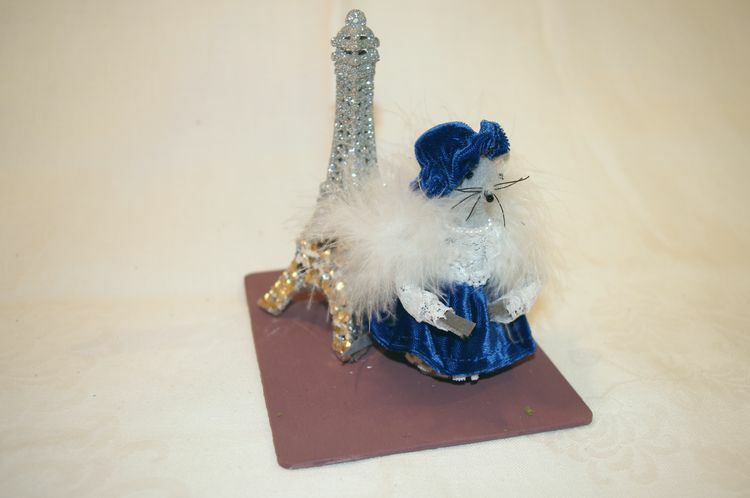 On The Town, in gay Paree! 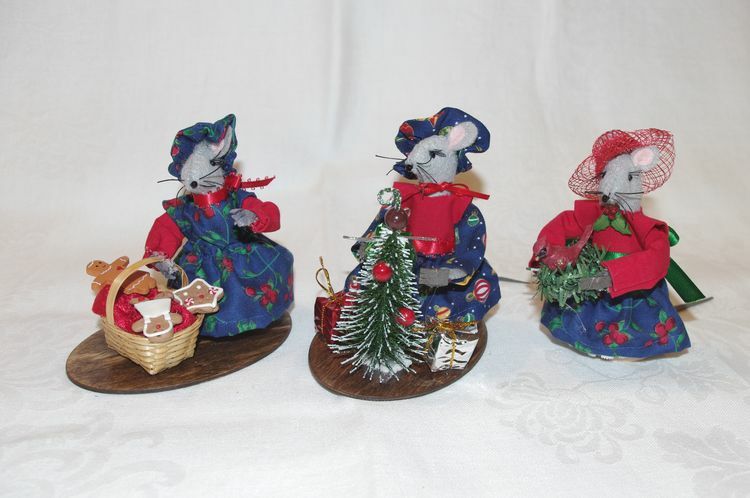 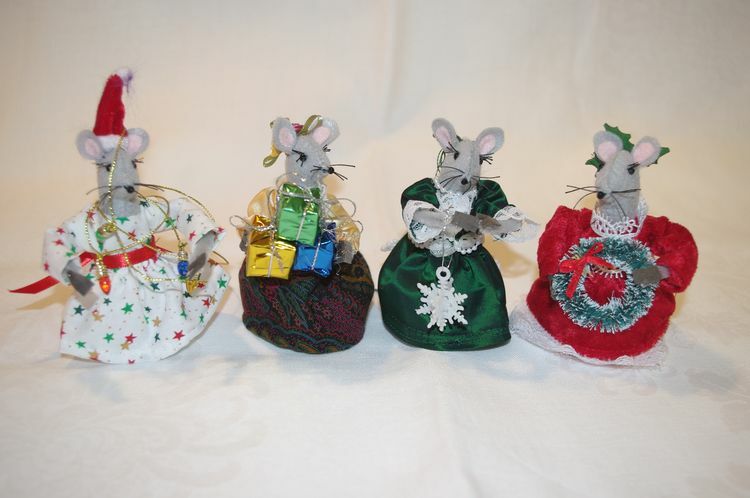 A bevy of Christmas Mice! 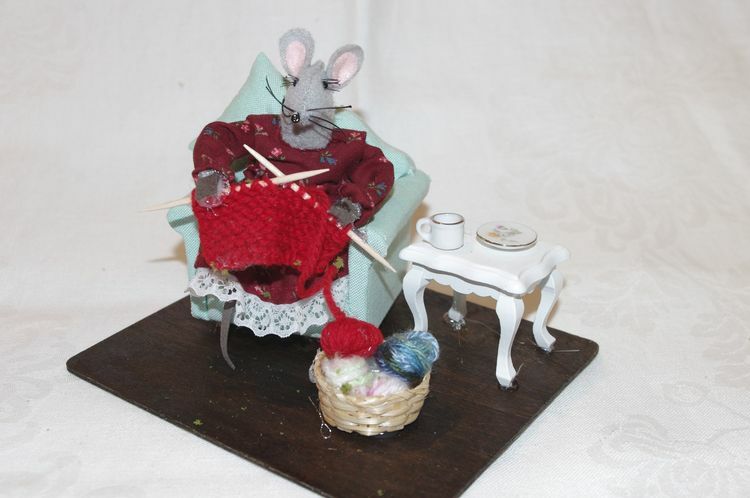 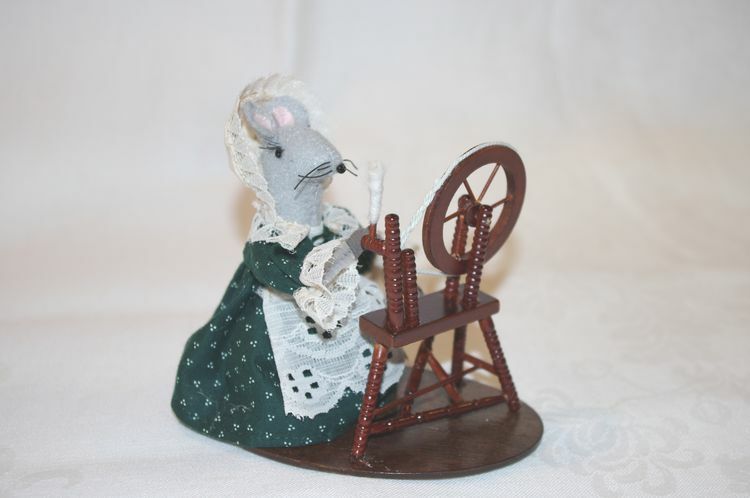 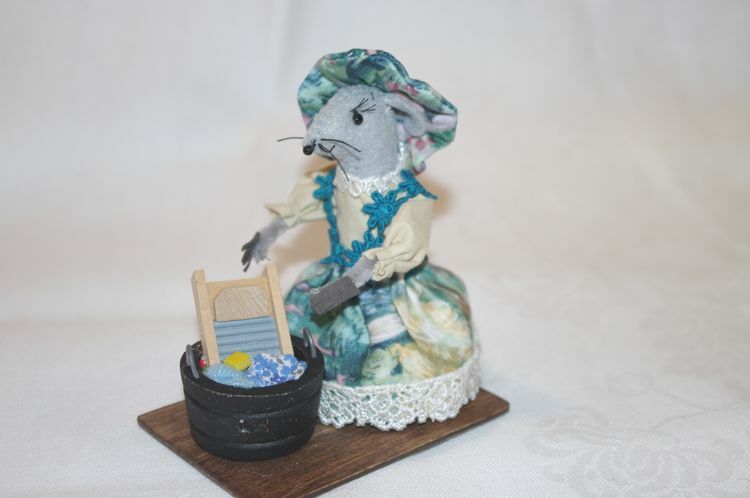 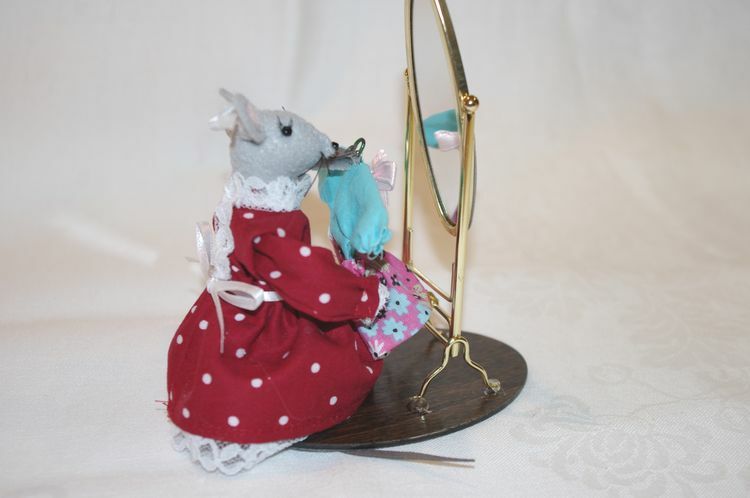 Miss Mousey learned to knit from Susan Hazelwood! 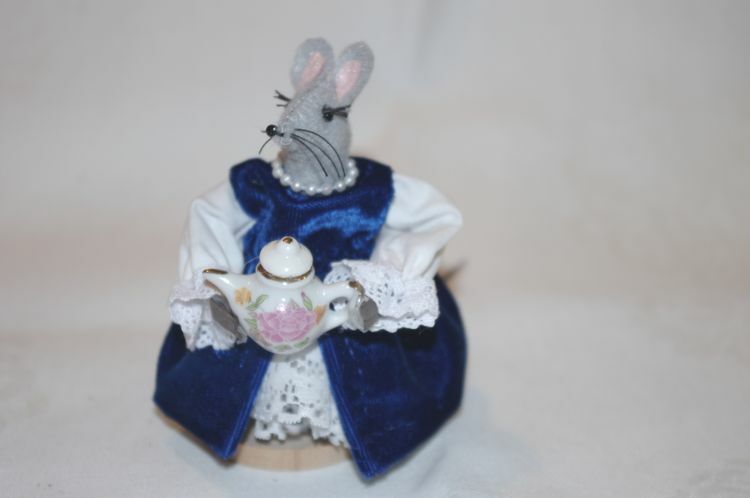 Time for a little Colonial tea! 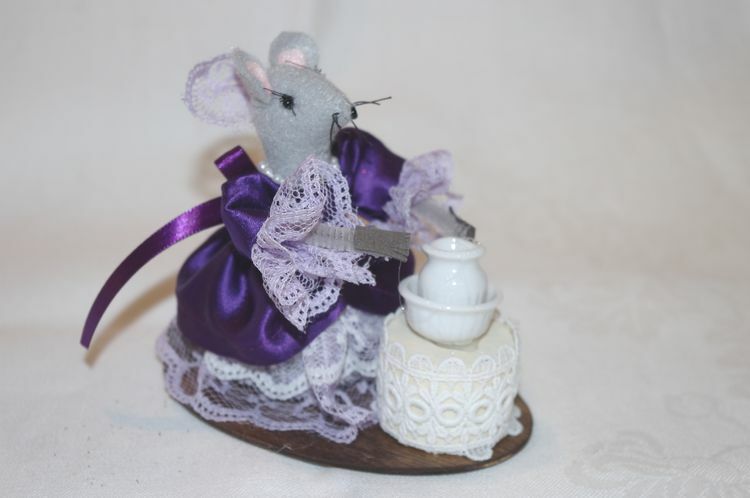 A tiny cheesy snack for a tiny mouse. 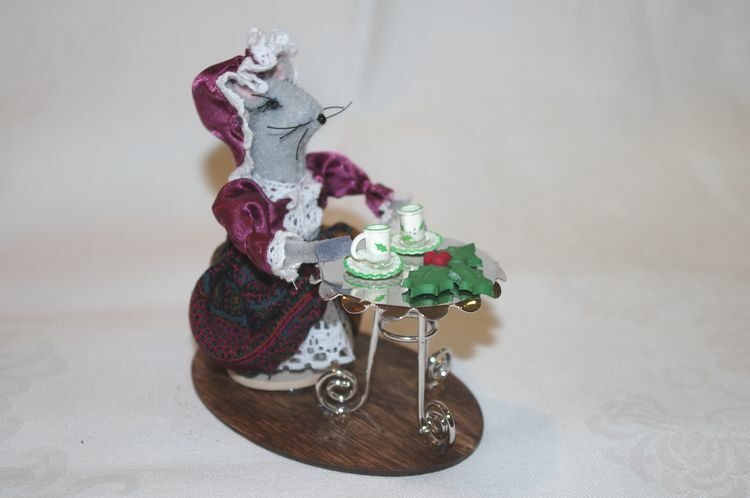 Thank you, Linda Johnson, for the highchair! 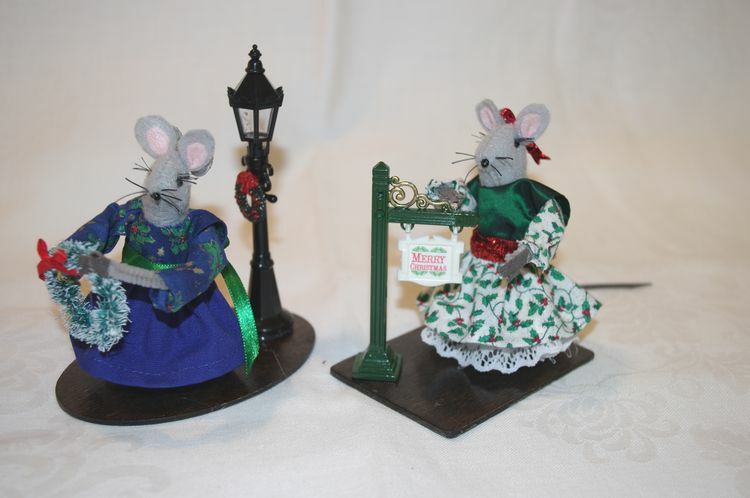 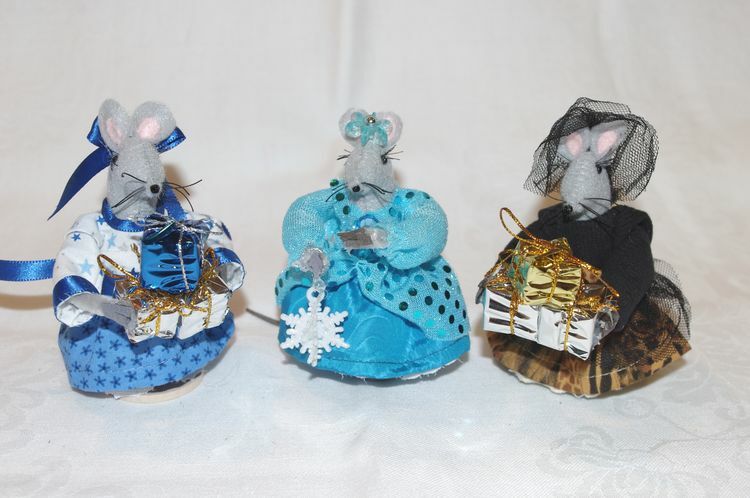 These mouse girls have the Christmas Spirit! 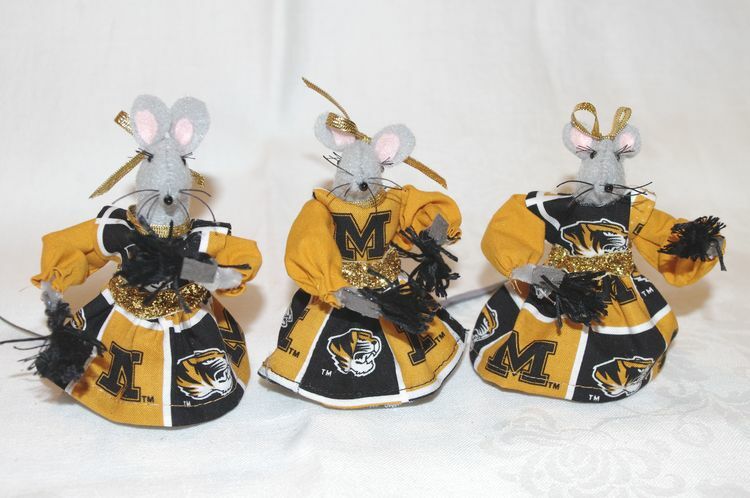 Church Mice have Tiger Spirit, no matter what! 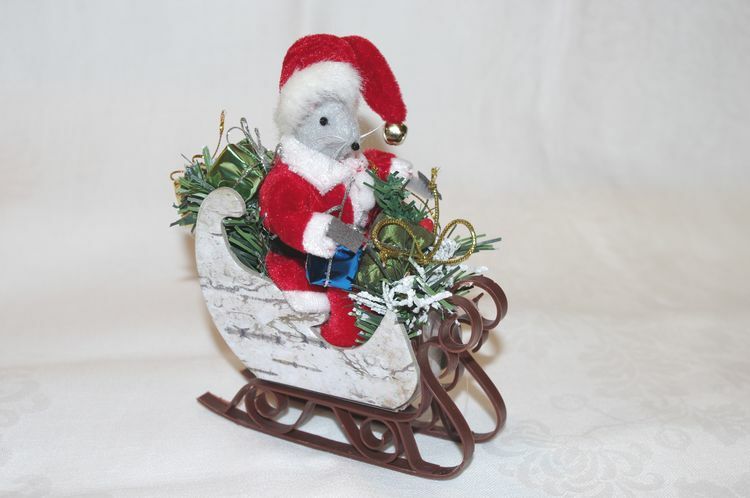 Santa Church Mouse is ready for the ride! 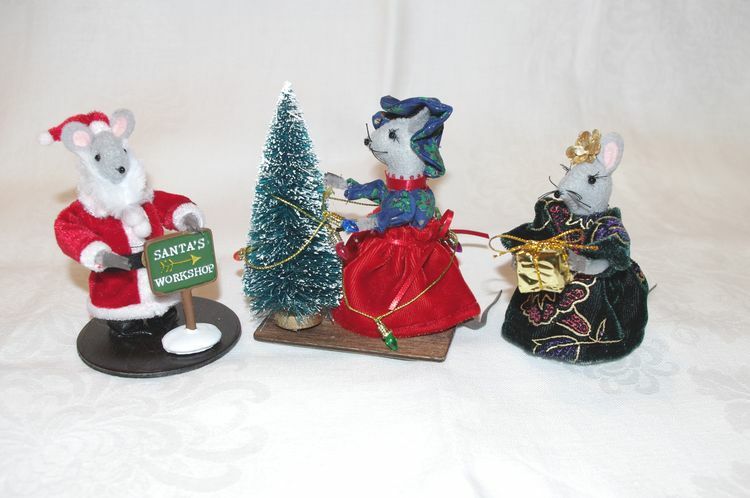 Deck the halls, here we come! 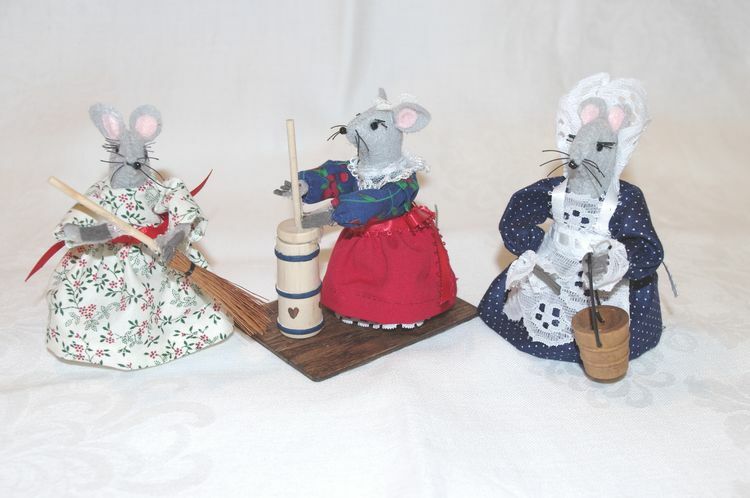 Colonial chores are never done!